First my purse was stolen from my Brentwood, TN home. Then Davidson Co. voter information was stolen, too. I feel like a victim of identity theft just waiting to happen. Lucky for me, another Brentwood resident–national money expert Dave Ramsey— helped develop an identity theft protection plan, also known as identity theft insurance. The representative from my credit union suggested I place a fraud alert with each of the three credit reporting agencies. This was easier than I thought, because calling one agency’s number automatically places an alert on all three. Then, I requested my credit reports from Experian, Transunion, and Equifax. —>Lynnette of The Fun Times Guide has an awesome step-by-step directions on getting your free credit report. 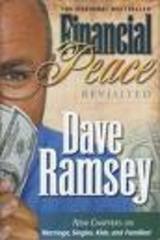 Next, I called Zander Insurance to get details on the Identity Theft Insurance I’d heard about on Dave Ramsey’s radio show. —>Read Dave Ramsey’s warning signs if someone might have stolen your identity. Dave Ramsey’s “identity theft insurance” is a bit of a misnomer, because what is offered isn’t actually insurance. It’s an identity theft protection service. You bear the burden of watching your credit report, but if you find an incident of identity theft, the program’s representatives work to resolve the issue for you. Our members have experienced a 100% success rate in restoring their identity to pre-theft status. For $6.50 a month per person, you are guaranteed a “personal recovery advocate” to dispute credit errors on your behalf–and reimbursement on any costs you incur in the process, including court fees and postage. I thought this seemed like a pretty good gamble. It only took me a few minutes to sign up for the plan online. Dave Ramsey boasts that he has purchased the identity theft protection plan for each of his employees. Will it work? Let’s hope I never have to find out. Was your driver license stolen, too? Here’s the quickest way to renew or replace your driver’s license in Tennessee!